We demand that the Sheffield City Council remove Magid Magid as the Lord Mayor Sheffield over his abuse of power, and urge the Green Party of England & Wales to suspend the membership of the Green Party councillor. Magid Magid, 29, born in Burao, Somaliland has been the Lord Mayor of Sheffield since May 2018 and even was even appointed as the Deputy Mayor from 2017 to 2018. Magid Magid is using his position as Lord Mayor to champion equality and diversity, and is using his status as a “black, Muslim immigrant” as an invisible barrier to protect himself from any form criticism. 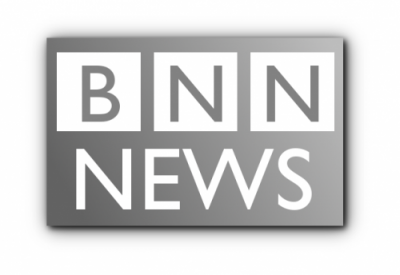 Here at BNN News, we decided start a petition to demand that Sheffield City Council remove Magid Magid as Lord Mayor, and the Green Party of England & Wales suspend his membership. The petition is currently just shy of 2,000 signatures. You can view and sign the petition below by clicking on the title. We undersigned demand that Magid Magid the 122nd Lord Mayor of Sheffield be removed from office for bringing it into disrepute. Magid described US President Donald Trump as a “wasteman” and stated that he was banning him from the city of Sheffield, though Sheffield City Council stated that he does not have the power to do so. He held a Mexico Solidarity Day: To champion equality and diversity. He is a staunch republican whilst acting as the Queen’s representative and first citizen in Sheffield. When someone assumes the office of Lord Mayor of any city in the United Kingdom they are supposed to be politically neutral. Magid Magid has brought his ceremonial role into complete disrepute and even caused the Sheffield City Council to have to state that he does not have the authority to ban a democratically elected Head of State. We urge the Green Party of England & Wales to suspend the membership of Magid Magid, and demand the Sheffield City Council remove Magid Magid from the office of the Lord Mayor of Sheffield. The Lord mayor of Sheffield. Wearing the white poppy in front veterans. There's a time and place for wearing your political symbol but remembrance Sunday is not the time or place. He has disrespected our nation's war dead. The incumbent Lord Mayor Sheffield has forced the Sheffield City Council to declare that he has no power to ban a U.S. President, he has held a solidarity day to champion equality and diversity, he shows little or no respect for veterans by wearing a White Poppy as a political symbol on Remembrance Sunday and does not respect the neutrality of being a Lord Mayor. Therefore, we argue that Magid Magid is unfit to act as the Queen’s representative and first citizen in Sheffield. Magid Magid has been manipulating ceremonial roles for years now, he must not be allowed the opportunity to be appointed to positions where the electorate have absolutely no control of replacing or removing him. Remove him. This man is not a good role model for Sheffield. He does not represent the British in Sheffield. In fact he has disgraced them. How was he ever voted in in the first place.